Educated at Thornleigh Salesian College in Bolton, Helen always had a passion for textiles and went on to study and gain the highest Diploma awarded by the Royal College of Needlework. Part of the Diploma enabled Helen to gain valuable experience working in Portugal for a year where she gained a love of languages. After graduating, Helen joined the German fashion house MCM leading the production of their sportswear line in Portugal, Italy and Egypt. Helen returned to the UK in 1995, where she worked as UK Sales Manager for Minova, a renowned Worsted Cloth Manufacturer, working with clients such as Gieves and Hawkes, Harrods, Aquascutum and Ede and Ravenscroft. After graduating, Helen joined the German fashion house MCM leading the production of their sportswear line in Portugal, Italy and Egypt. Helen returned to the UK in 1995, where she worked as UK Sales Manager for Minova, a renowned Worsted Cloth Manufacturer, working with clients such as Gieves and Hawkes, Harrods, Aquascutum and Ede and Ravenscroft. Helen’s career took a completely different path in 2000, when she opened her own Private Day Nursery in Wakefield to support her youngest daughter, who was two years old at the time. The Nursery gained Outstanding from Ofsted and led the field on the importance of outdoor learning, which Helen passionately believes in. 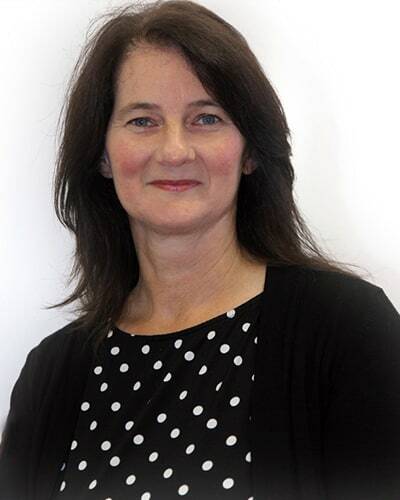 Helen retrained as an Early Years Teacher during this time and took on the role as Head of Sunny Hill in 2010. With the move of Sunny Hill to the main Silcoates site in 2015, Helen was delighted to take on the role of Director of Admissions and many new parents will know her in that capacity. Helen is married with two children, who have both attended Silcoates. Helen enjoys riding and walking her dog, Hal, although she can often be seen driving the school minibus to various events! Choosing a school for your child is one of the most important decisions you will make. Here at Silcoates we endeavour to make that process as straight forward and rewarding as we can. Every child is an individual and we therefore don’t have a “fit all” approach. During the admissions process we take time to get to know your child including their likes, interests and hobbies. In return they get to know us and can then make an informed decision as to whether Silcoates is the right environment for them. Why are more and more people choosing Silcoates? Word of mouth is the best form of advertising and our parents and pupils are the best ambassadors of the school. Our pupils are encouraged to believe in their talents and strive to achieve the best academic results they can, but most importantly they are well-rounded, kind, happy and supportive individuals who are able to grab all that life has to offer once they leave Silcoates. Success in life is not all about gaining a straight set of A* grades it’s about being adaptable, creative and having a whole load of self-belief and resilience. The breadth of expertise within our teaching staff and the co-curricular opportunities available push and develop pupils to try things they never thought they could achieve. Happy, self-confident children thrive, it’s as simple as that. We have Open Mornings in October and March however, the best time to see the school is during a “typical” school day. Come along and see the lessons in action, watch the interaction of pupils on campus and visit the breadth of facilities on offer. Meet the Headmaster and Senior team, and take time with our friendly admissions team who are there to ensure you gain all the information you need. Call Helen Lindenmayer, Director of Admissions, on 01924 885245 or fill out the Book a Visit form and you will be guaranteed a warm welcome!